Known as the Blue Island, its landscape gently slopes down to the ocean, a merger between the colorful hydrangeas, the tones of the earth and the blue sea, a blue floral dating and the green vegetation and pastures. 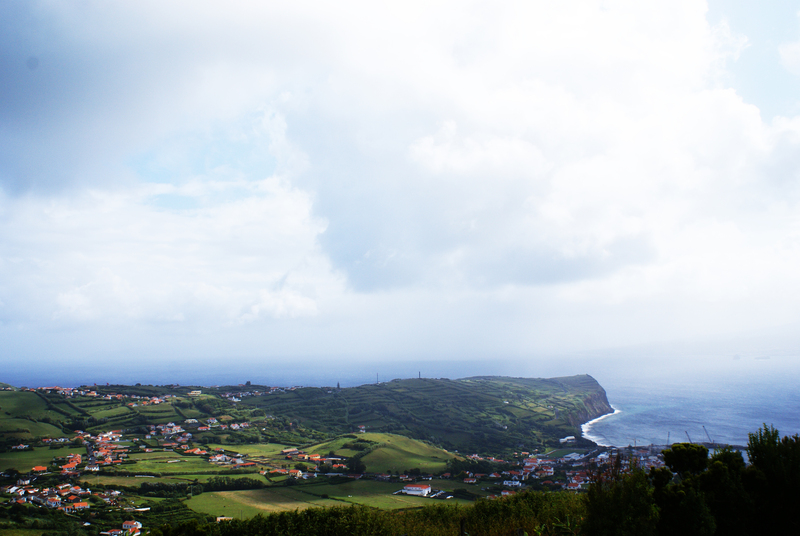 This happens on the road to Caldera, in the center of the island and other paths and roads of Faial. 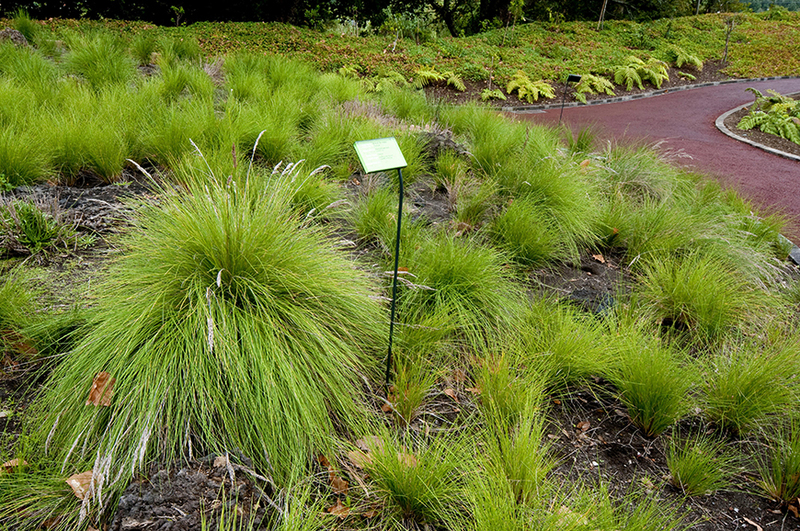 This immense symbol is covered by flowers, plants and trees, which extol with sunlight. This volcanic depression with 7 kilometers perimeter, has on its walls, beech, laurel, cedars of weeds, mosses and ferns. In his background, over 450 meters below the viewpoint of the boiler, is an intermittent pond and a small volcanic cone coated with traces of primitive laurel forest, dyeing this landscape in a play of colors. However, in the Capelinhos all changes, moving to an arid and rugged landscape, where the gray stands. This young son of the last volcanic eruption, has a lunar surface, where the gray of ashes and volcanic slag, issued between 1957 and 1958 still are present in vegetation. Its cliffs and the Nau Costado show their guts, a rocky sequence strata, different colors and different textures. 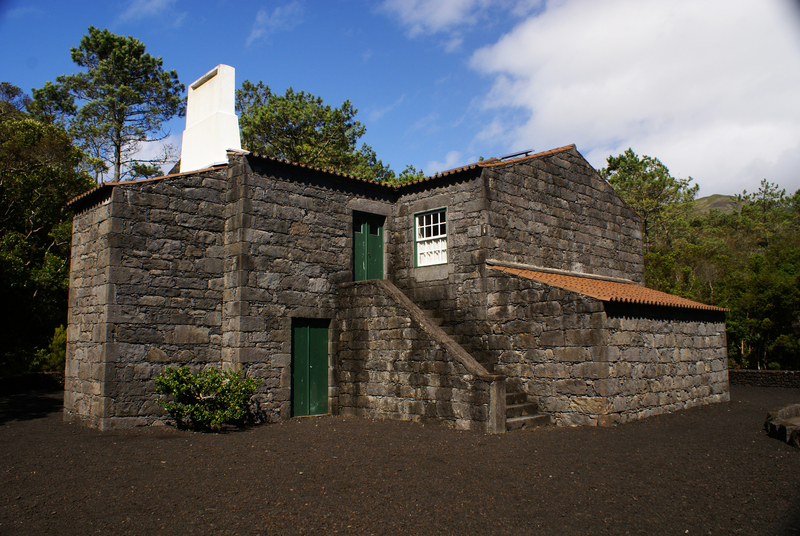 The Capelinhos Volcano is a perfect place for pilgrimages of the scientific community, however, this was the major cause of emigration of Faial population, both for the destruction of homes, land and plantations, one human mass movement to which the old man watched in silence. Currently, part of the Interpretation Centre with modern exhibition and multimedia techniques, ending his visit at the top of the lighthouse for an unparalleled visual and emotional experience. 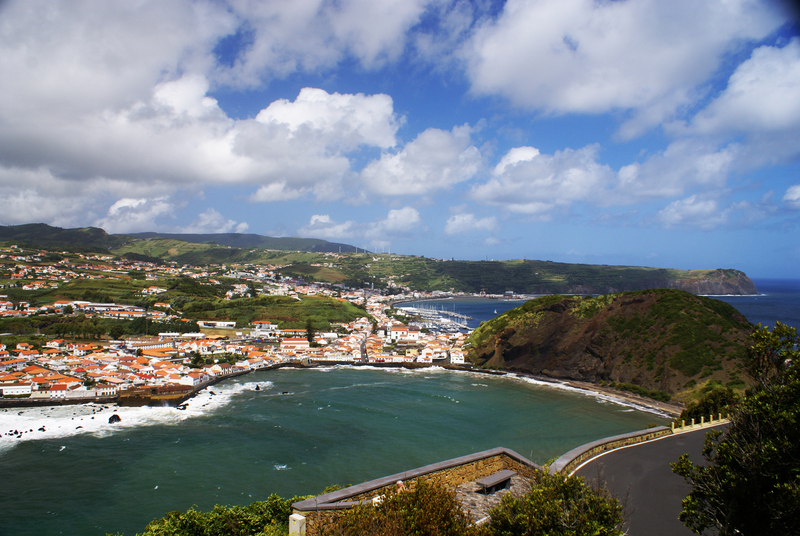 Faial offers viewpoints with privileged views both to the interior of the island and to the other islands. Near the ruins of the lighthouse Ponta da Ribeirinha, devastated by the 1998 earthquake, it is possible to see the clipping of the volcanic back of St. George, as the viewpoint of Ponta da Espalamaca near the monument dedicated to Our Lady of Conception, facing faces Horta bay and stands majestic Pico Mountain, the Cabeço Gordo, there is all the islands of the triangle and Graciosa, on clear days. Focused into the Faial, pastures galgam the slopes to the boiler, interspersed with thickets spots. This landscape has found the balance between the natural elements and human presence, especially some typical windmills painted red, cultivated fields and flowering Valley of the Flemings, the rows of hydrangeas carefully aligned along the paths. Between White Castle and Varadouro way, by the sea, it is surrounded the rock of water and populated by seabirds. The Morro de Castelo Branco lives up to the white heart of the rock, that composes and its castellated form, in which it appears an impregnable fortress. 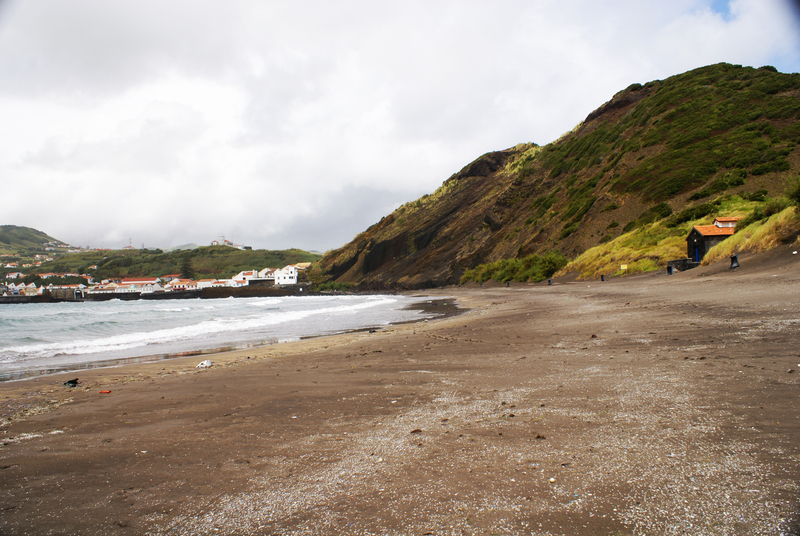 Belonging to the Triangle Islands, Faial is one that offers a greater number of volcanic sand beaches, from Porto Pim, Almoxarife Beach and North Beach inviting to a sea bathing. 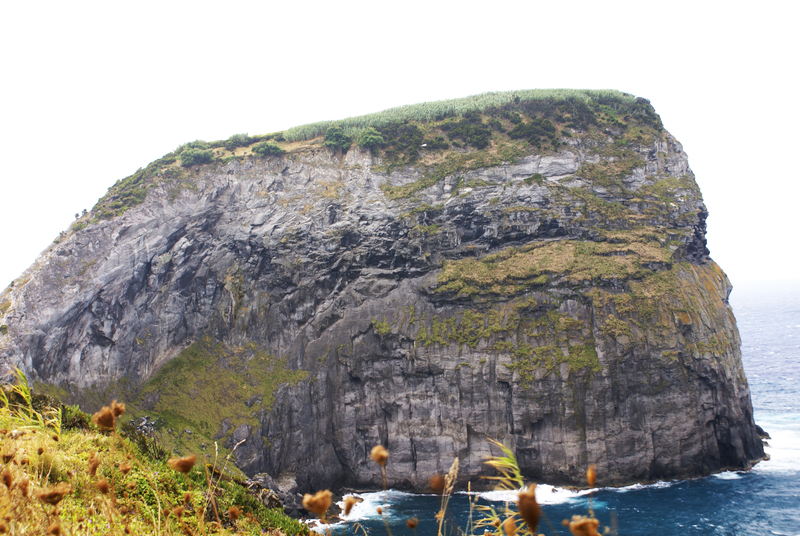 On the side west of Faial, the cliffs of Ribeira Funda and North Beach and the Morro de Castelo Branco and Varadouro that rise majestically and plunging steeply into the deep ocean, giving way to rocky cliffs of Capelo Peninsula, which itself extends west, corresponding to the area geologically most recent of the island. 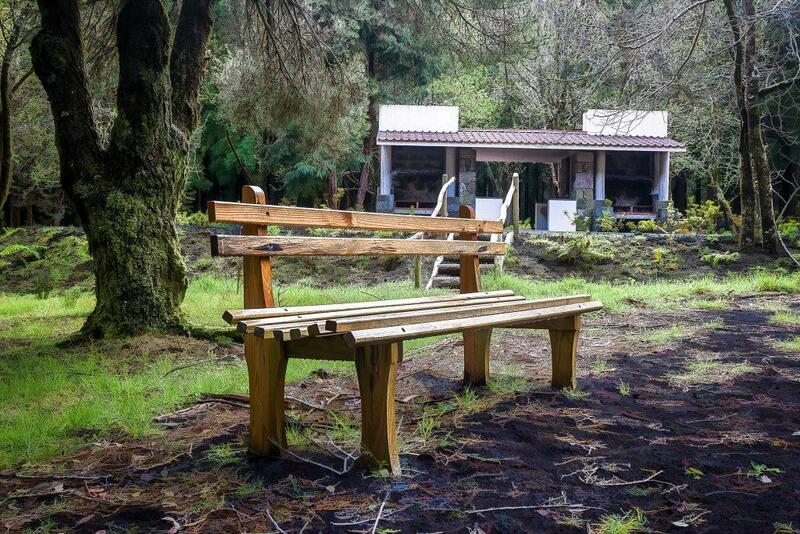 Garden Lomelino Vieira – in the old farm pastures and orchards of Quinta de São Lourenço, in the Valley of the Flemings, this was opened in 1986 and consists of various plants, who conceived her beauty. 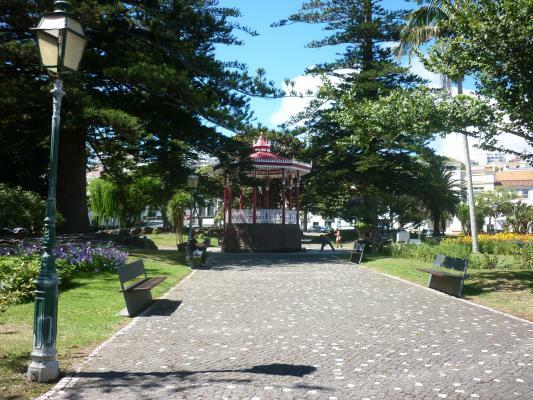 Garden of the Republic – in the city center, it offers a very nice area with a romantic aspect, being the oldest garden of Faial. Viewpoint of Espalamaca – visited by a cross and the image of Our Lady of Conception, this viewpoint offers a view of the islands of Pico, São Jorge and Graciosa. Garden Florêncio Terra – opened in 1857, this is the name of Florencio Terra, as a way to honor the writer and politician, born in the city of Horta. 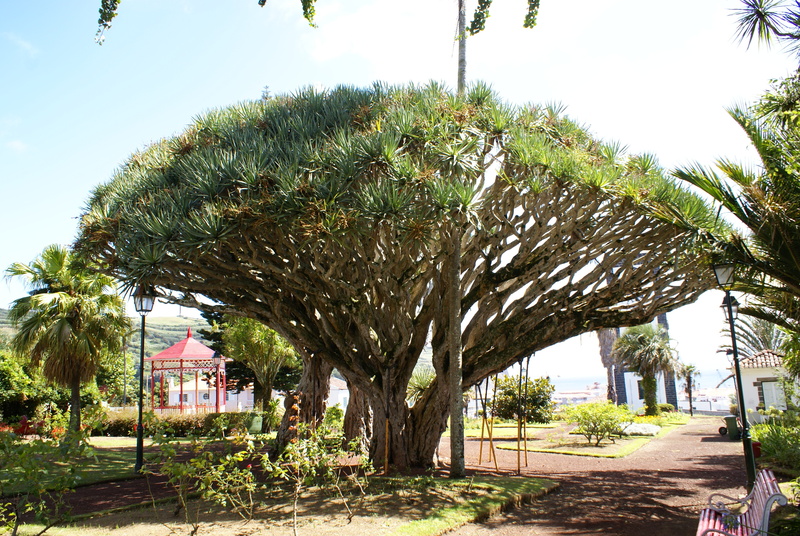 This garden is also one of the oldest and preserve several protected species such as the Dragon Tree (Dracaena draco). Monte da Guia – a volcanic cone, which allows the view of the bay of Porto Pim and the city of Horta, having been classified as a Special Protection Area. 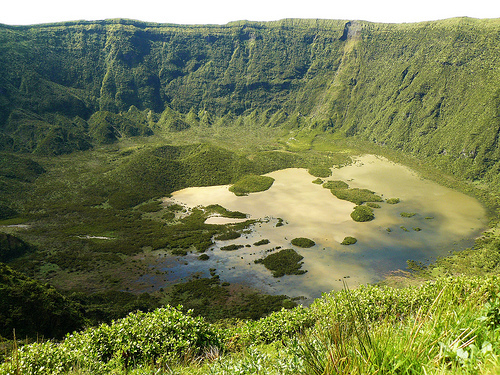 Caldeira – in the center of the island, this volcanic cone with 2 kilometers wide and 400 meters deep, was classified as a Natural Reserve, as home to rare populations of endemic flora.